This year’s Valentine’s Day weekend was fantastic. We got the hell outta dodge for a couple nights and drove to one of our favourite places: Malagash. Up on the north shore of Nova Scotia, there’s a fantastic coastline, across the water from PEI. We like to stay at a secluded cottage, read food magazines by the fire, and forget about life for a while. At the cottage, there’s an outdoor hot tub with a view of ocean, the horizon, falling snow flakes and the forest. It’s easily one of the most peaceful places I’ve been to, anywhere. As usual, we packed enough food to last two weeks. We like to keep our options open, because we’re cooking all the meals from scratch, (another activity I find incredibly therapeutic). Beginning our weekend with a trip to the Seaport Farmers Market in Halifax, we took our culinary leads from what was available there. 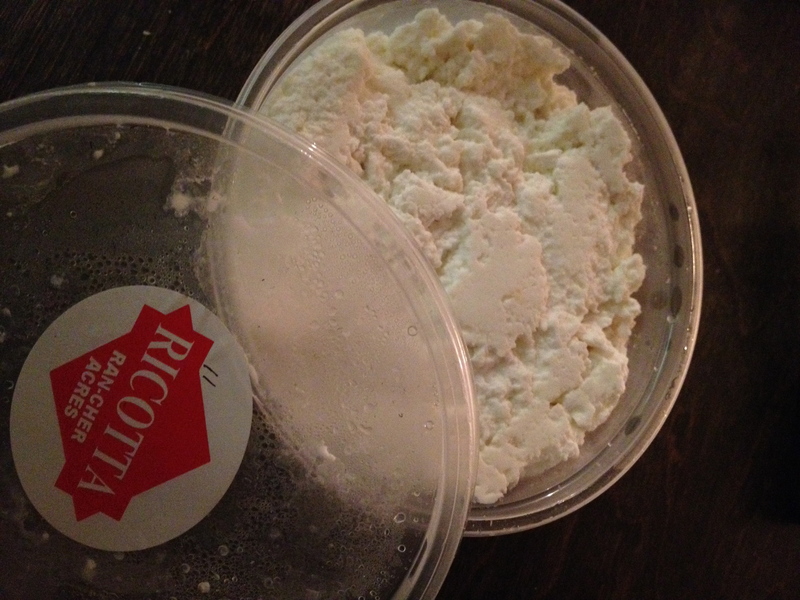 Much to our surprise and delight, Ran-Cher Acres has introduced even another goat’s cheese product: ricotta. 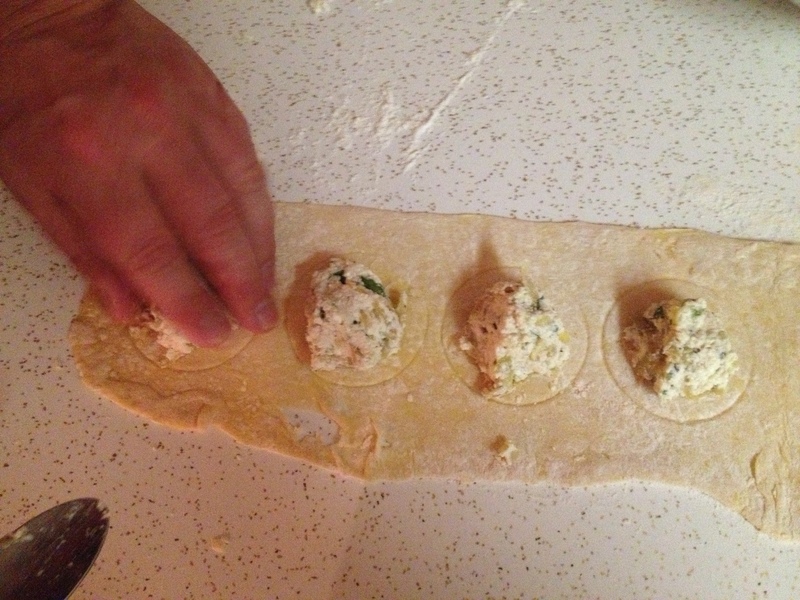 It was settled, we were making ravioli from scratch. Here’s how the endeavour rolled out… literally. 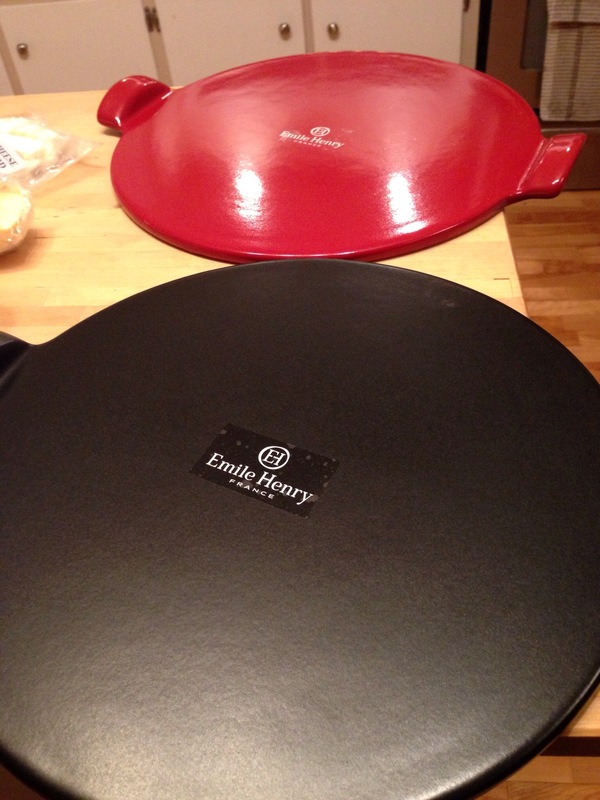 Since I first laid eyes on my new Emile Henry pizza stone – after opening it as a holiday gift this past December – it was love at first sight. Then, thanks to our AWESOME foodie luck, Geir happened to also receive an Emile Henry pizza stone for Christmas, from my mom. Perfect! We never are making just one pizza anyway, lets be honest. 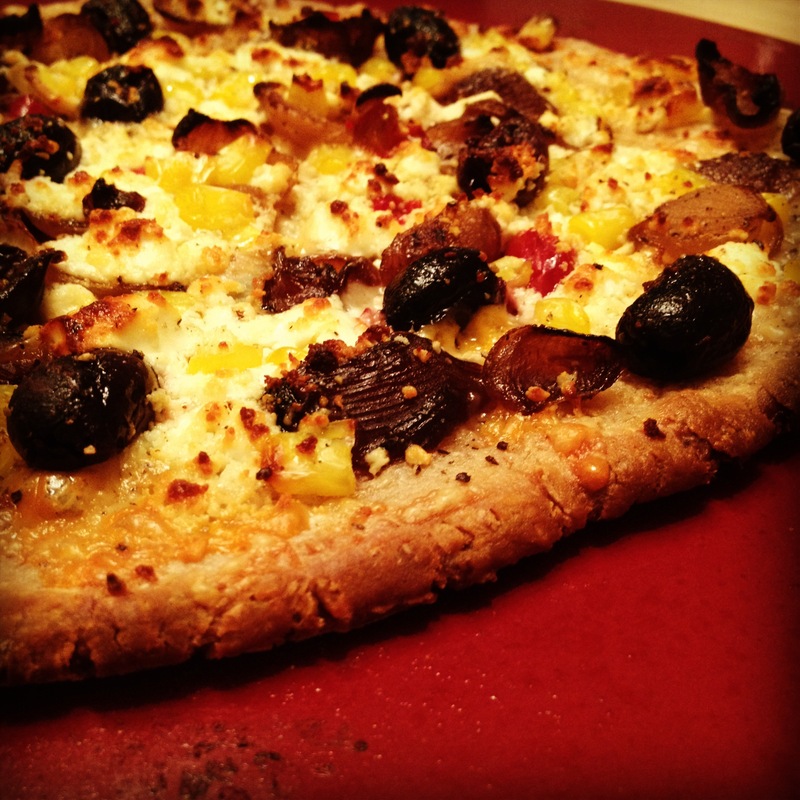 We each can eat an entire pizza, and often prefer slightly different toppings anyway (I’m an olive fiend, him not so much). We’ve already perfected our own method, deviating slightly from the Emile Henry pamphlet. 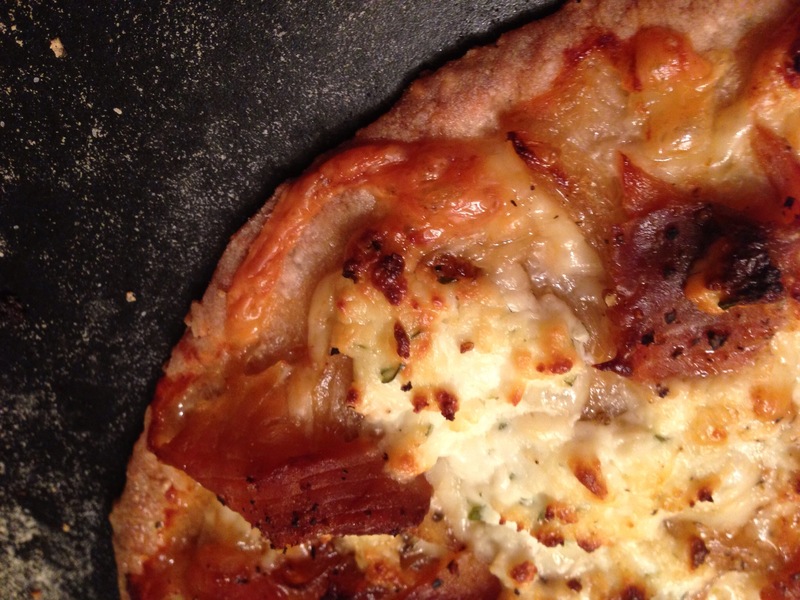 We prefer to preheat the pizza stone at 480 F, build our pizzas separately (while the preheating is happening), sprinkle cornmeal or flour on the stone, and transfer the raw pizza to the insanely hot stone. 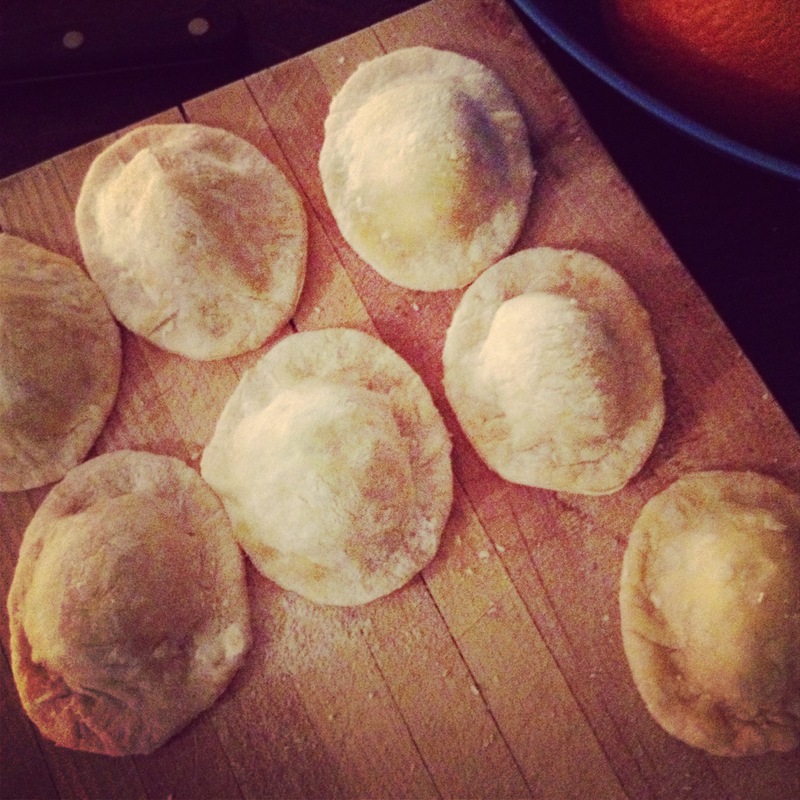 This crisps up the raw dough instantly, almost like a sear, creating an initial, heavenly crunch. Then we cook the pizza in the 480 F oven. 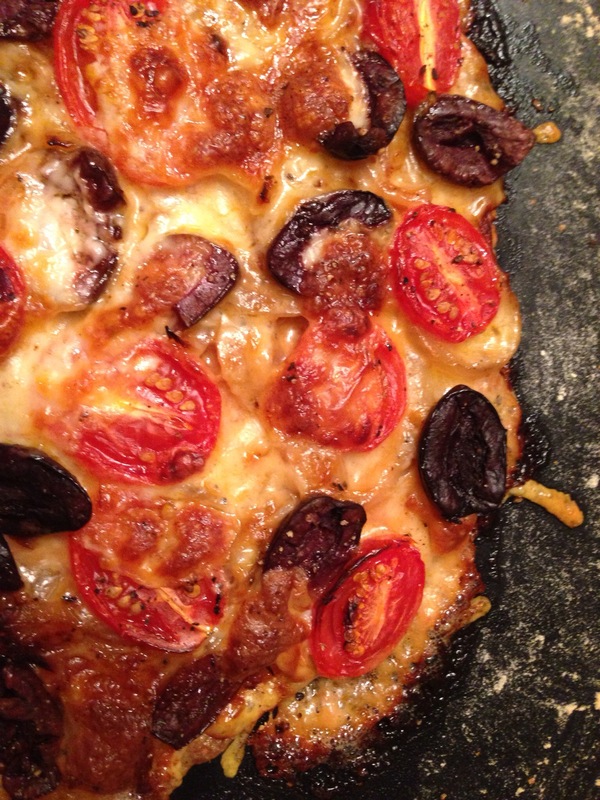 It usually only takes about ten minutes… depending on variables like tomato sauce, the use of olive oil as a base, type of cheese, and the amount of toppings. 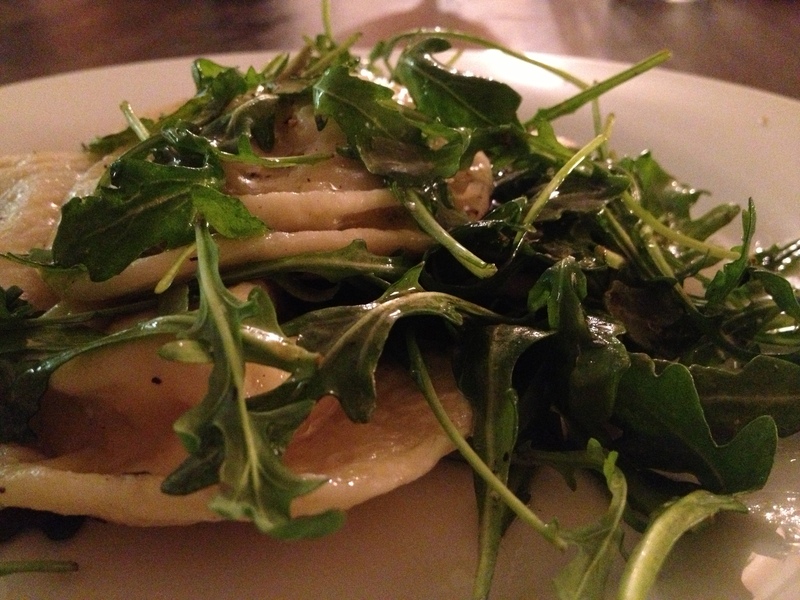 I prefer pizza bianca, or white pizza, using evoo or flavoured olive oil as a base. 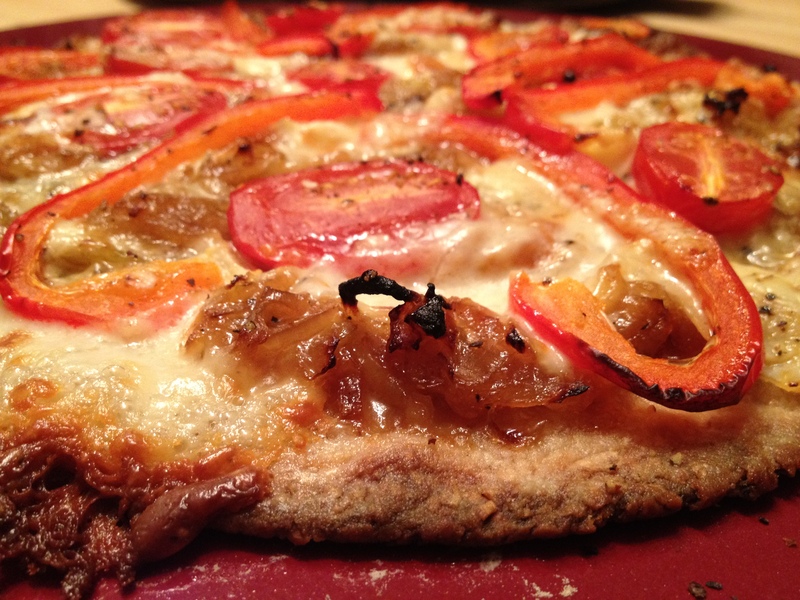 I once used the oil from my container of marinated garlic and hot peppers; it added a subtle, delicious heat to every bite.